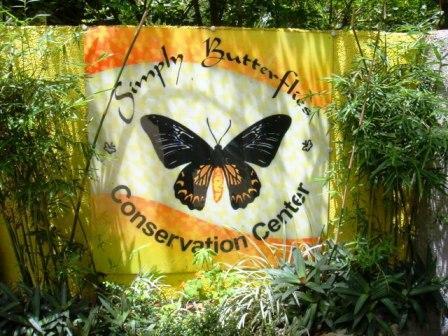 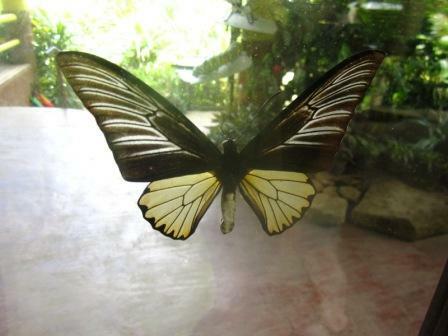 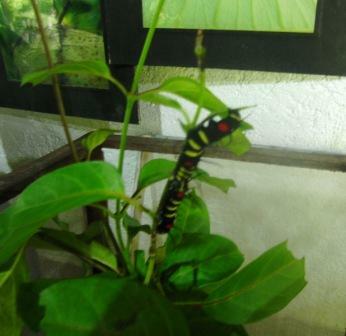 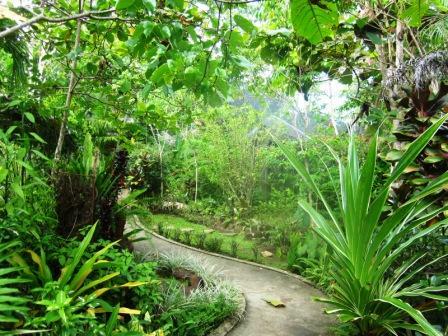 We opted to have lunch at the Butterfly Conservation Center instead of the overrated Loboc River Cruise. 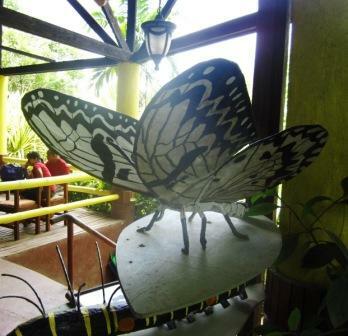 They have value meals starting at P89 that already includes a viand, rice and drinks. 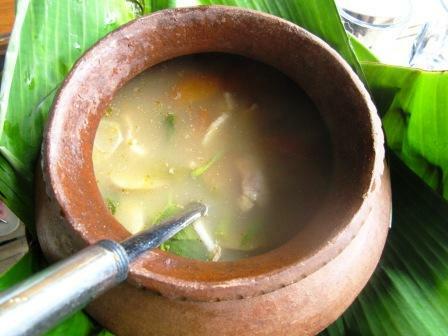 However, we ordered ala carte to give way to more tempting delights. 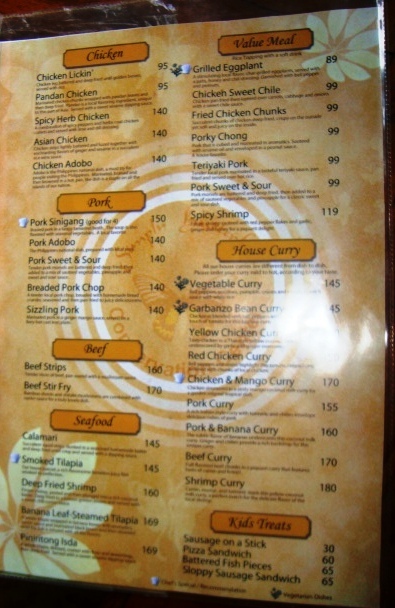 We ordered Breaded Porkchop at P140 and Pork Sinigang at P150 good for 4 pax. 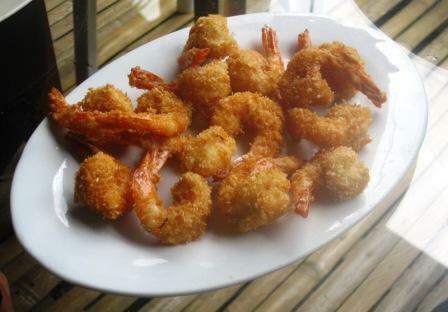 Deep Fried Shrimp at P160. 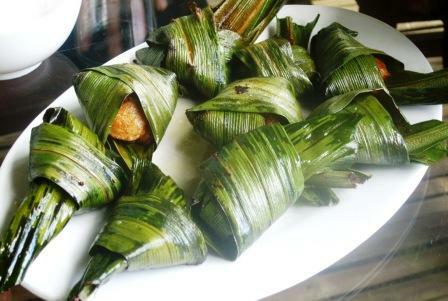 Pandan Chicken at P95 and a bowl of rice at P70. 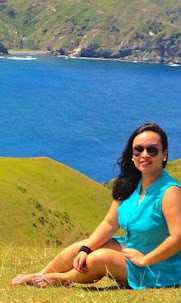 Total damge is around P660, good for 6 pax. 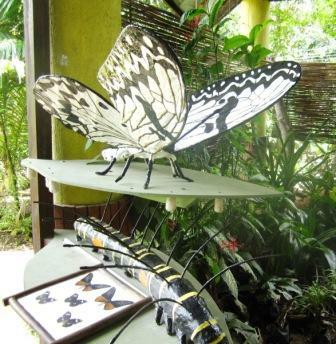 Entrance is P30/head. 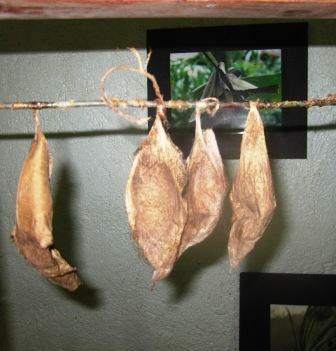 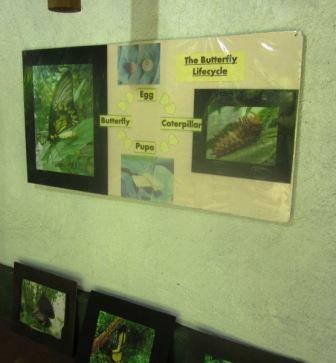 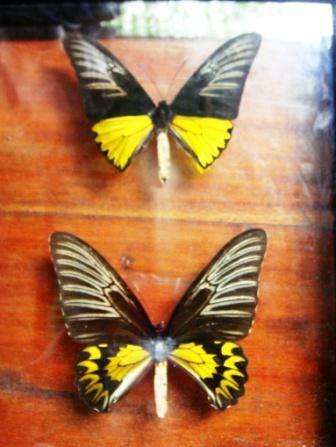 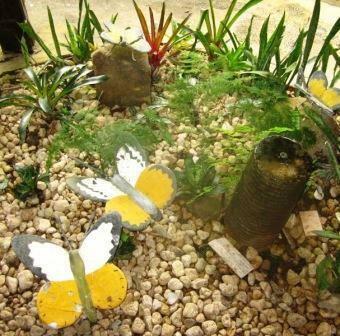 Here are some snapshots of what's inside the Butterfly Farm. 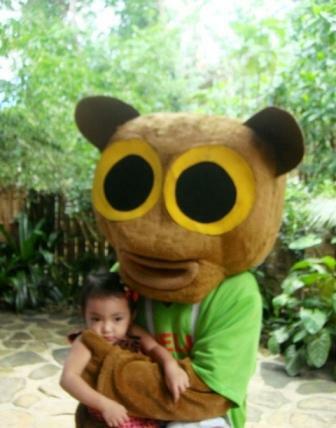 Cute Tarsier mascot that appears from time to time. 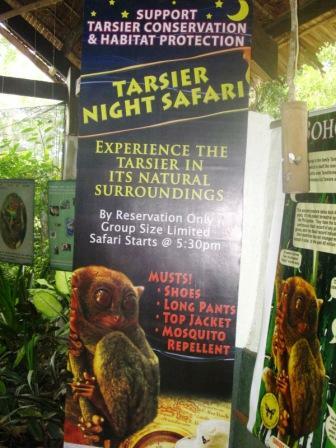 A Tarsier Night Safari! 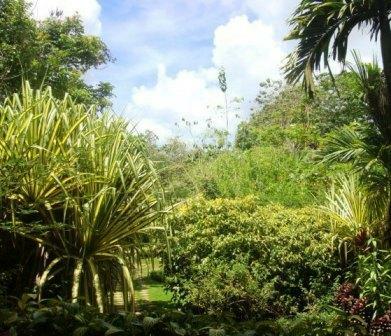 Looks promising!